Curly beard isn’t a problem at all if you know how to style and maintain it the right way. In fact, curly beard styles are nowadays a trend in 2019. Many men with curly facial hair didn’t opt for a beard or used to straighten the hair before. Now, confident men enjoy the curly beard and style trendy and elegant beards without spending much time in its maintenance. If you have curly hair and looking for a beard style, then the article will be really useful for you. There are several beard style that goes well with the curly hair, such as Old Dutch, goatee, lumberjack, drawn, full beard etc. Choose the perfect one among the styles to get the best look and enjoy! 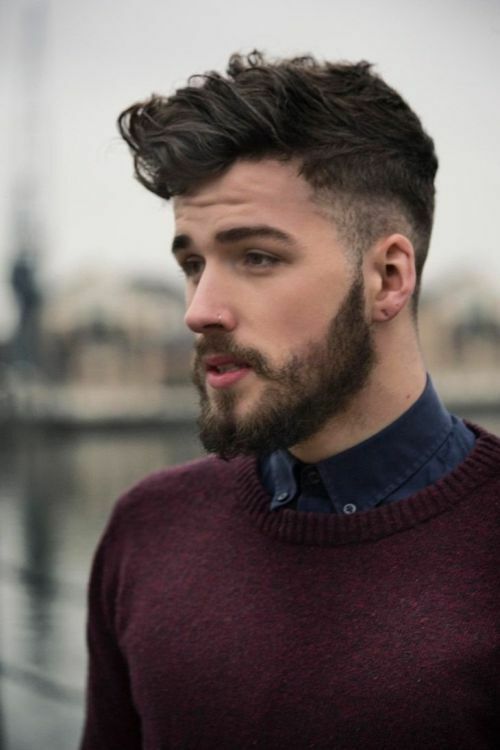 This beard style is perfect for curly hair which is thick and difficult to grow. You can grow half an inch facial hair and give them a unique design by shaving cheek and neck hair. Clean the sideburns and don’t link mustache with the jawline. Fade hairstyle and well-shaved curves are best for well carved curly beard style. Curly hair is thick and seems like a cluster. They are difficult to comb and easily get tangled. If you have time for maintenance, then go for full beard style. You will get a real handsome look even you have a bald head. Proper trimming is necessary for the uniform shape while keep mustache linked with the jawline. Curly hair grows easily and it will take only 2-3 days for short stubble. Don’t shave for 3 days and trim to keep the short length when the length gets one inch. Shave your neck area if it disturbs you. Medium stubble is similar to short stubble with just a longer length. This beard style is for black guys who want to maintain a stylish look. Keep the length of mustache small to prominent beard length. Full beard gives fantastic look too blond men who have thick hair on the head. A stylish long hairstyle and fair complexion will really make your personality a magnet for the opposite gender. Curly full beard styles portray a bushy look and you can get benefit from it by keeping the direction of mustache downward. You can try other mustache types too. Don’t make sideburns thin and grow beard evenly from all the side to make a statement. Try this unique hipster look. Grow a curly mustache with upward direction and curly beard make you a trendsetter due to your inspiring looks. Well-combed hair matches well with this style and gives you a real gentleman looks. Why look neat and clean all the time? Embrace your natural looks and showcase it to others. Keep your hair uncombed and your beard rough so shows natural elegance. Do you love the shaggy appearance and don’t bother what others think about you? If yes then bushy mustache and bushy beard style are for you. Long and downward mustache may create problems for you but you have to compromise on it for your exclusive beard style. 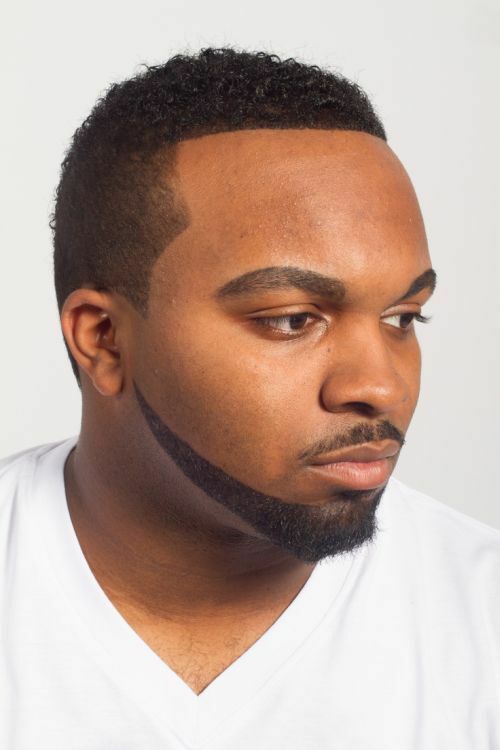 If your beard is curly and you want to grow a medium length beard, this style is just for you that makes a perfect combination of stylish spikes with side fades. Give a pointed shape to your chin and get a chic look by wearing some man accessories. If your beard is curly or straight depends on the hair follicle’s shape. 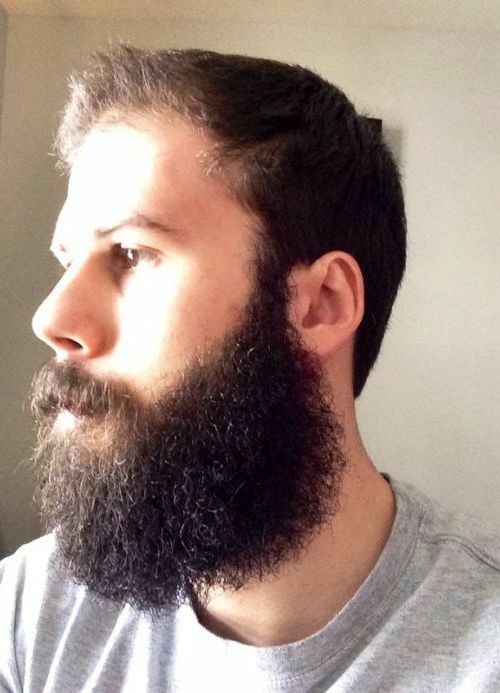 The fact is, no matter your beard is curly or straight, it needs proper maintenance. Here we come with some curly beard care tips to make your beard look healthy and attractive. Curly beard is thick and looks bulky. If your beard is curly and you like to have the rustic style, you can use the beard balm to make the beard soft and aligned. Beard oil will help you ensure a shiny irritation free beard growth. Use good quality beard brushes and combs so that your facial hair strands don’t grow randomly, rather give it a direction to make sure they look good. Use beard trimmers if you feel they are looking ugly or you want to start over to achieve the curly beard style. Our favorite is the Norelco beard trimmers because of both the smooth experience and the price. You can buy from these amazing beard grooming kits. The face is a very sensitive part of our body and any type of chemical is harmful to the skin. The components used in the chemical products may have a dangerous allergic reaction which may damage your beard and the underneath skin. So, to avoid such trauma it is recommended to consult a dermatologist before using it. As the newly grown facial hair strands will remain curly, you may become dependent on this procedure. You may get an artificial look after applying the chemical straightening. Every day after waking up, comb your messed up beard curly hair. For reducing the frizz and to untangle the facial hair, you can use beard oil. Don’t comb the beard when it is wet because this may cause the breakage of the thread which we don’t want. Daily moisturizing is necessary for having the soft beard. Beard oil helps to moisturize the hair and leaves a sweet scent in the beard. It also provides hydration to the threads. Thus, the threads become strong and healthy. Regular maintenance is must to have a beautiful beard. Trim the strands with a scissor to maintain a better look. If you want, you can go to the barber to take the professional care in maintaining the wires. Cleaning the beard is important because the dust can make the beard rough. So, to keep the beard clean, always wash it with the specific beard shampoo. A stylish Curly beard is difficult to grow especially for young boys who have a patchy beard. Once you grow it, you can make any beard style and enjoy the curls with elegance. Pay some attention to the proper maintenance like cleaning beard once a week to prevent germs and infections, using shampoo or a beard oil etc so that you can rock even with a curly beard many men never thought of!